It is difficult to review a show when the series is delivering the same high quality it has done for the previous three seasons. Bob’s Burgers manages to stick firmly with the mantra “if it ain’t broke, don’t fix it” and subsequently, season 4 is as good, if not better, than the previous seasons. Everything that makes Bob’s Burgers such a good animated show is present. The stories are as crazy, outlandish but strangely “real” as ever. Rather than just be “Bob becomes a Home-Ec teacher” there is a strangely coherent reason to why events happen, which means as things escalate out of control, you kind of understand the reasoning. The season is full of episodes like this, from a wine-tasting train ride going bizarre, a strange plane-instructor trying to seduce Linda and Bob becoming a “Bronie” to avenge a wronged Tina. They are all crazy stories but the moments with the individual characters within the episodes works so well. There is some signs of misstep. 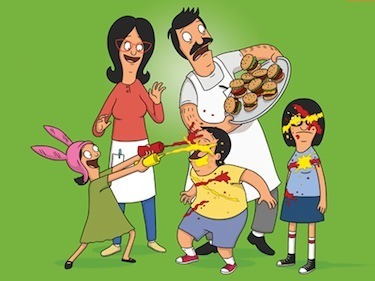 Notably the Bob’s Burgers version of a Simpson’s Halloween Special, with three strange and seemingly disconnected stories hung together on a thin thread. The episode doesn’t play to the season’s strengths and is best forgotten. Which it soon is, especially as the show seems to be growing in storytelling ambition. The season closer, a great two-parter where Bob and the family find themselves in a mini-thriller style story, is a great way of showing the characters to be adept and flexible. The characters are, of course, the highest selling point the show has. I have been through the many traits of each character and what makes them so enjoyable to watch before but they do keep getting better and better. 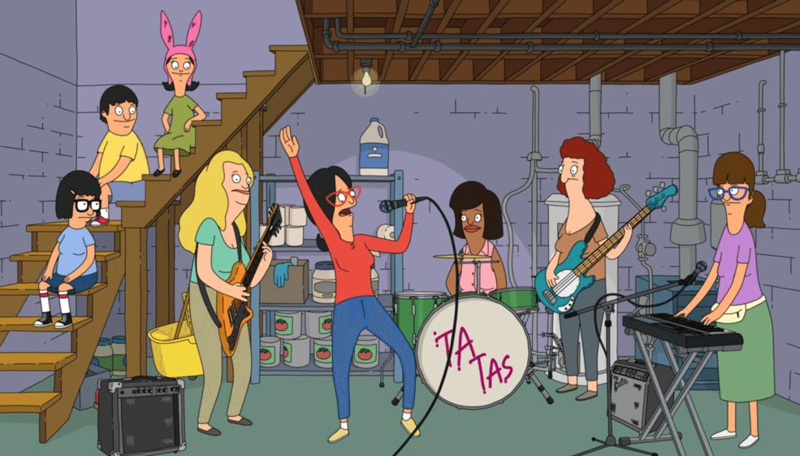 Linda in a failed school band is genius, Tina as a magician makes sense and Gene as a cheerleader is full of comedy potential. The series doesn’t seem to be slowing or running out of steam and the stories still make sense and work well. Even the supporting characters are starting to come out of their shells. The best example is definitely Teddy, who practically gets his own episode when he is left babysitting the kids. It is another example of how well the characters are written and the comedy avenues the writers can find for individual, even supporting people. 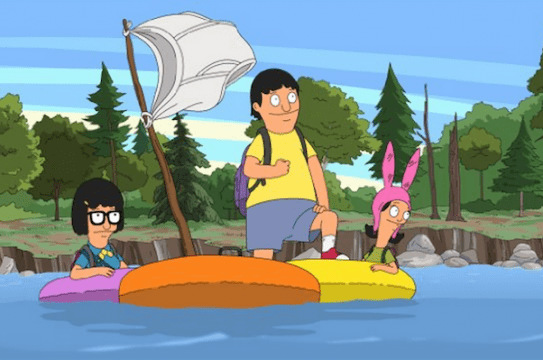 Overall, season 4 of Bob’s Burgers shows that the series is no where near slowing. It is the same hilarious, creative and crazy show that it was back in season 1. If anything, it is starting to get more ambitious, with bigger episodes, epic two-parters and creative ways to use the well-written characters. Best Episode – Uncle Teddy: A great example of how well the supporting characters have grown too. Should there be another season? – Definitely. If the show can stay this good, I’ll keep watching. They should definitely keep this family on TV!